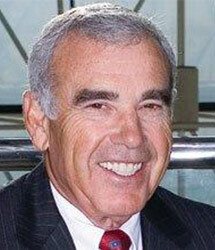 Edward P. Roski, Jr. is chairman and chief executive officer of one of the oldest and largest privately held real estate companies in the United States. Rated as the No. 1 Real Estate Developer in Los Angeles for over sixteen years, Majestic Realty Co. owns manages and leases in excess of 70,000,000-sq. ft. of property for clients across the nation. Mr. Roski is co-owner of the Los Angeles Kings and the NBA World Champions, the Los Angeles Lakers. He played a critical role in developing the teams’ new arena, leading the L.A. Arena Company’s efforts to create the STAPLES Center- now a landmark in Downtown Los Angeles. A committed philanthropist, in 2002 he initiated the Majestic Realty Foundation whose charitable giving and community outreach focuses on Youth, Family, Education, Health, and Violence prevention. Majestic’s was recently ranked in the top ten of all LA county foundations. Mr. Roski personally gives his time and energy to countless civic organizations, serving on the boards of LACMA, the Bowers Museum, The California Science Center, the Natural History Museum of Los Angeles County, the Board of Regents at Loyola High School, the National Geographic Society, and he is Chairman of the board of trustees at The University of Southern California. For his service to the community, he has received numerous awards and civic honors, including: Project Restore’s Los Angeles Heritage Award, for his commitment to the restoration of downtown Los Angeles, and the Spirit of Los Angeles Award (Eddy Award) from the Los Angeles Headquarters Association for his civic involvement and dedication; The City of Hope awarded him their prestigious “The Spirit of Life” Award, He was honored with the Oxford cup from the General Fraternity of Beta Theta Pi, and the University of Southern California awarded Mr. Roski the Asa V. Call Award, which recognizes alumni who have demonstrated exceptional commitment to the University and the community by giving generously of their time, energy and leadership. Woodrow Wilson International Center for Scholars honored Ed Roski with their Public Service Award, and he was later recognized by the Los Angeles Business Journal as Businessman of the Year and by the Los Angeles Area Chamber as Distinguished Business Leader of the Year. A passionate adventure traveler, Mr. Roski is a member of the famed Explorers Club. He has climbed to Base Camp at Mt. Everest, K2, and Mt. Kilimanjaro, rode his bike across Mongolia, Russia, and Burma, and has made several deep water dives throughout New Guinea. He has traveled to some of the most remote reaches of the Globe, and is an avid collector of African and Aboriginal Art. Mr. Roski was born in Oklahoma and raised in Southern California where he graduated from the University of Southern California in 1962 with a Bachelor of Science degree in finance and real estate. He served as an officer in the United State Marines from 1962 to 1966 where he was decorated for bravery with two purple hearts. He now resides in Los Angeles with his wife Gayle Garner Roski, with whom he has three children and six grandchildren.